All Our Eligible Vehicles Include a 3 Month / 3,000 Mile Limited Warranty ( Engine, Transmission, Drive Axle, Seals and Gaskets) Roadside Assistance Included on the Plan; Towing, Flat Tire Change, Emergency Gas Delivery Service, Battery Jump Service, Key Lockout Service. Engine, V8, Flex Fuel, 6.0 Liter, Transmission, Automatic, 6-Spd HD w/Overdrive, Drivetrain, RWD, Braking and Traction, Traction Control, StabiliTrak, ABS (4-Wheel), Steering, Power Steering, Tilt Wheel, Entertainment and Instrumentation, AM/FM Stereo, Comfort and Convenience, Keyless Entry, Air Conditioning, Air Conditioning, Rear, Power Windows, Power Door Locks, Cruise Control, Seats, 12-Passenger Seating, Safety and Security, Dual Air Bags, F&R Head Curtain, Air Bags, Wheels and Tires, Alloy Wheels, Exterior, Running Boards, Exterior Color, White AND MUCH MORE..
All vehicle pricing listed online are cash prices only! We accept financing from your own bank or credit union for listed cash price. 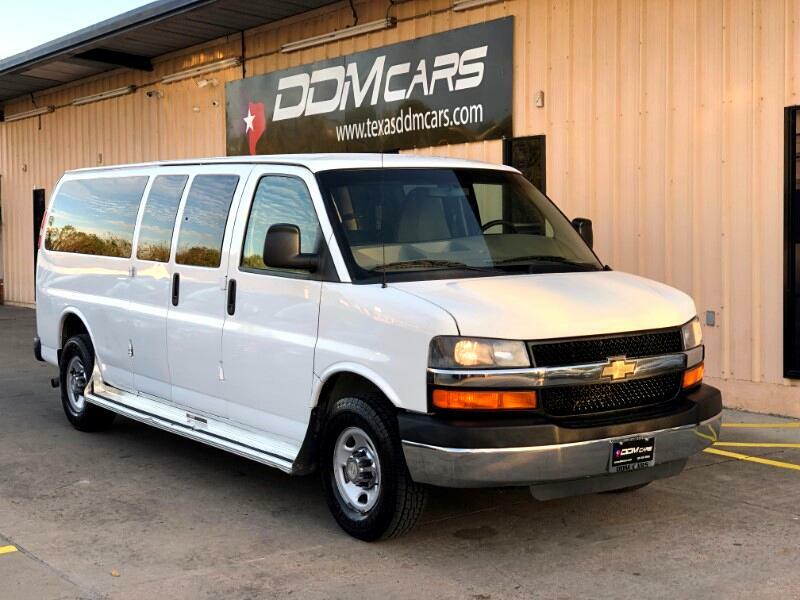 Visit DDM Cars online at ddmcars.com to see more pictures of this vehicle or call us at 832-840-6690 today to schedule your test drive. Message: Thought you might be interested in this 2010 Chevrolet Express.